Fruitmix e liquid is a sweet, fruity flavor that is similar to the taste of the canned mixed fruit. It has hints of cherry, peach and pear, all fruits that compliment each other so well and will sure to become one of your favorite flavors. 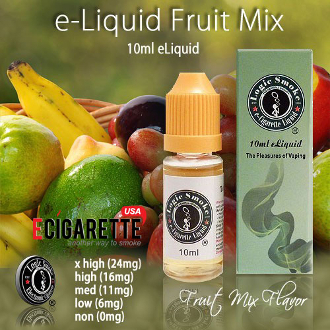 Pick up a bottle of our Fruit Mix E-liquid from Logic Smoke and enjoy.